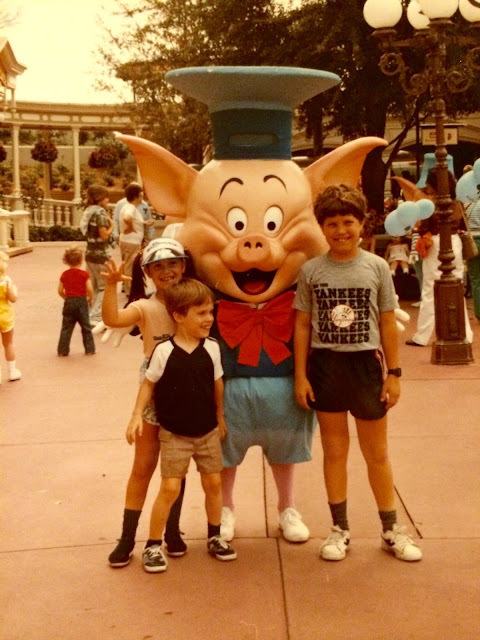 This shot of me and my siblings was from our trip in 1983. It is interesting for a couple of reasons. First off, you rarely see any of the "Little Pigs" in the parks anymore. Secondly, you almost never see any characters greeting guests or taking pictures in the middle of a sidewalk nowadays. Most characters have very specific meeting spots with a queue. The new way of doing things is certainly more structured, but sometimes I miss the chance meeting with a character who is just walking through Town Square.